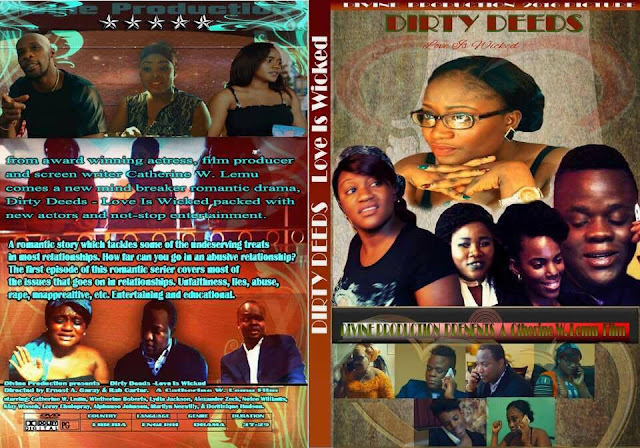 Dirty Deeds is a movie that speaks of four Liberian women who are at the middle phase of their lives and going through various experiences with love and pain, motherhood and acceptance. Catherine W Lemu, a first time movie producer, uses the movie to highlight the virtues, strengths and flaws of the Liberian woman via its message. The movie addresses sexual assault, domestic violence, body shaming and infidelity. The cinematography, staging and sets is great. The costumes just horrible, badly needed a better stylist. The plot was good, hopefully the part two of the movie will have some great twists and a good climax. Lighting was very good but just slightly dark in the outdoor scenes. Excessive use of city overview for landmark shots. The script is simply a normal Liberian story, perfect for its target audience, Liberians love some relationship drama. The movie was very predictable, nothing unexpected. The acting was poor but understandable, since majority of the cast are first timers. There's a little bit of comedy injected, definitely made it easy to overlook the poor acting. Important take away, Catherine is on the right path with her messages, powerful indeed. Perfect title for the message conveyed. Dirty Deeds, a great start for Catherine W Lemu.